Life for Leaders is a daily devotional designed especially for leaders. Based on a close reading of the Bible, Life for Leaders helps people in diverse leadership roles grow in their relationship with the living God, the source of all life. This digitally delivered daily devotional also encourages leaders to understand their work and, indeed, their whole life, in light of God’s truth and calling. Mark D. Roberts, primary writer of Life for Leaders. Life for Leaders is a gift to subscribers from the Max De Pree Center for Leadership at Fuller Theological Seminary. The De Pree Center engages with Christian leaders so they might flourish in their life and leadership. 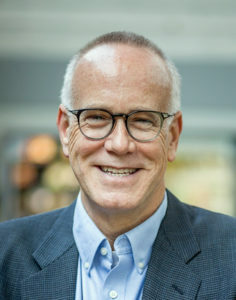 Dr. Mark D. Roberts, executive director of the De Pree Center, is the primary writer of the devotions, a task he sometimes shares with guest writers from Fuller Seminary and the wider marketplace. The first Life for Leaders devotional was posted on April 1, 2015. More than 1700 people have subscribed to Life for Leaders in its first year. Click to read A Letter of Invitation from Mark D. Roberts.